Today's review for the Christmas Beauty Brawl is an eyeshadow palette and I've chosen Makeup Revolution's Fortune Favours The Brave palette. The palette was made in collaboration with British Beauty Blogger Jane Cunningham (who I met earlier this year at Makeup Revolution's 2nd birthday party which was pretty cool!). I actually picked up this palette a few months ago and am somehow only just getting round to using it! I love my Naked palettes but this is a great high street alternative. 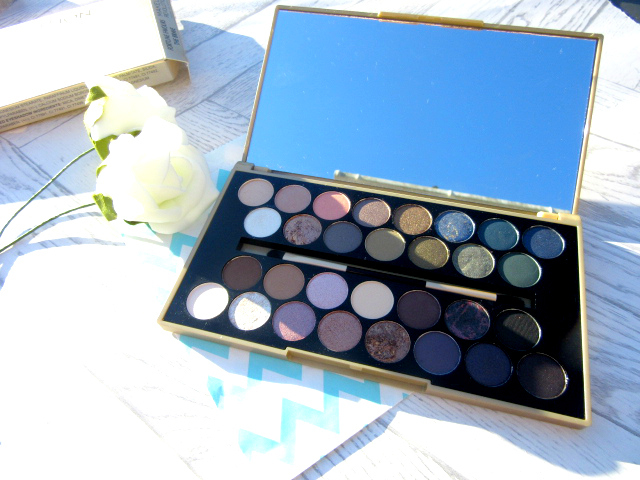 PRODUCT QUALITY: You get thirty different colours in this palette which is amazing in itself! The darker colours have great pigmentation, although I will say the lighter/white shades are noticeably less pigmented. That being said they're still fab as a more sheer, subtle coverage over the eyelids. The eyeshadow brush that comes with the palette isn't great and I opted to use my own brushes instead, but it's a nice touch to include one (that isn't that ridiculous sponge applicator you get in most high street palettes!) and could come in useful if you're applying eyeshadow on the go. PRICE: At £9.99, this is a steal compared to other palettes such as Urban Decay's Naked palettes which retail at about £38. 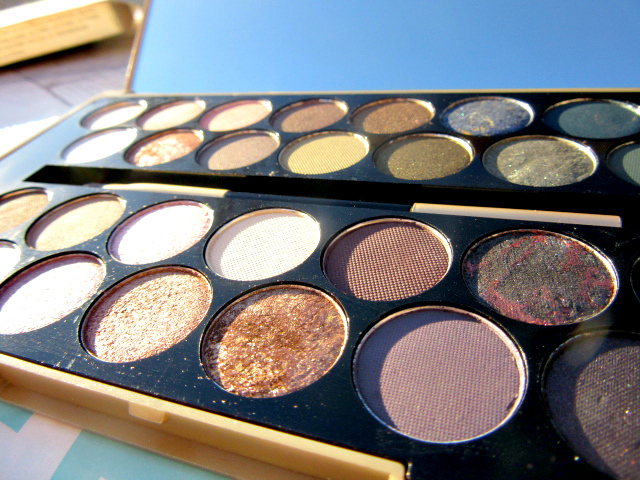 Although the individual eyeshadows themselves are quite small, the range of colours definitely makes up for that. PACKAGING: I think the matte gold case is absolutely gorgeous and looks very high end. I love that it also includes a huge mirror and an eyeshadow brush, as it makes it perfect for applying make-up on the go. I think this would make a fantastic Christmas present for any make-up fanatic as it looks expensive and the variety of colours means it would suit pretty much anyone. OVERALL VERDICT: I'm sooo happy with this product! For me, Makeup Revolution always go above and beyond with their products and this one is no exception. I also love that it was made in collaboration with a fellow blogger, and it makes me super proud to be part of our little community! Makeup revolution is one of my favourite brands at the moment and their products always impress me. I haven't actually tried this before, but the shades look fantastic so I might have to pick it up, thanks for the recommendation. And hurray for no sponge applicator lol!